Ontario Cider in Vines Magazine! Great cider, just like great wine, starts at the source. But instead of looking for the perfect spot to grow grapes, these four cider makers believe they’ve found ideal niches within Canada to cultivate apples. Cider making in Canada is a relatively new phenomenon. Back in the 18th and 19th centuries it was outlawed in Canada under British rule as it conflicted with the Commonwealth’s brewers’ interests, like those of England-born, Quebecbred John Molson. 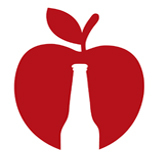 Luckily, cider lovers held on and the craft blossomed from coast to coast. 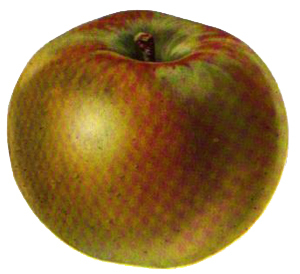 These days, different varieties of cider are produced across the great white north from British Columbia to Nova Scotia. Quebec has cornered the market on ice cider, a fermented beverage made from the frozen juice of apples, but there’s also sparkling cider, non-alcoholic cider, sweet cider, Feral cider and plenty of other options. 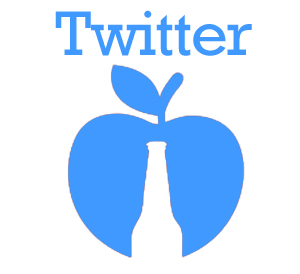 What’s really shaking things up, though, is hard cider. There are as many ways to describe it as there are people making it. Some call it English-style, others pubstyle. 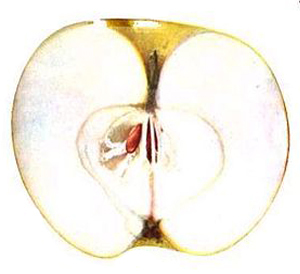 Some refer to the region their apples come from, like County Cider. But what they have in common is their ability to impress anyone looking for something different than the popular imports on liquor store shelves. And thanks to well-established leaders like The County Cider Company & Estate Winery in Prince Edward County, Ontario and Merridale Estate Cidery in the Cowichan Valley, British Columbia, the industry is booming. We now have some critical mass and really talented Canadian cider makers producing award-winning artisan ciders. They will keep our industry growing. One brewery that’s recently added to its range is Tree Brewing Co. in Kelowna, British Columbia. They partnered with a family-run old growth orchard to create Dukes Dry Cider. “We looked at the market and thought that since we have some of the best orchards in the world, we should make a cider. It was kind of a natural fit,” says sales director Chris Stirling. “We tested many different recipes and only launched Dukes when we knew we had a product that met our expectations. Another newcomer to the field is Thornbury Village Cidery based out of Thornbury, Ontario. We looked at the market and thought that since we have some of the best orchards in the world, we should make a cider. It was kind of a natural fit. -Chris Stirling, Tree Brewing Co.
Like Tree Brewing Co., Thornbury doesn’t own orchards, but instead gets its apple juice from an established, reputable, local company. Then, cider maker Doug Johnson crafts his product naturally in small batches to create a beverage that is naturally gluten-free as well as vegan and vegetarian-friendly. He created the first samples of apple cider in his basement even before he officially started to work for Thornbury. The original Thornbury cider was chosen from this first set of samples he created. And while some are creating a complementary beverage to beer, others have made cider their full-time obsession, like Pipes has with Merridale. And what’s at the core of their obsession isn’t surprising — apples. “We have about 40 acres of apple trees with over 6,000 rare cider apple varieties being planted out over the next two years,” says Howes of County Cider’s orchards. “We grow over 15 varieties. Our largest planting is unique French and English cider or Calvados apples. These varieties have been collected from private sources and have been propagated in our nurseries for the last 15 years.” Howes says that over the years they’ve narrowed down plantings to the varieties that can produce fruit consistently, despite the cold Canadian winters. These four cider makers are merely a dent in the number of producers in Canada. They are unique in what they produce and how they create it. But, whether farming has been in their family for a decade, or if they’re adding a new product to their brewery, they all realize great cider starts and finishes in the orchard. Across the country, more makers are bound to spring up as the demand grows. 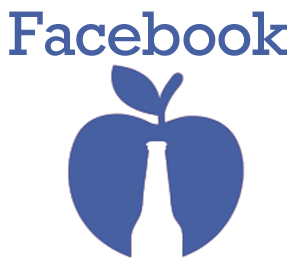 This entry was posted on May 30, 2013 by oncraftcider in Cider Stories, News and tagged cider, ontario, vines magazine.